Runners tend to be a goal-oriented bunch. It is for that reason, that I’d venture a guess that many have made a resolution for the new year. Are you vowing to run more, run faster, run farther, stretch more, run injury-free, do more strength training, or even to do all of the above? I regularly commit myself to a running-related goal and, when achieving it, enjoy the associated bragging rights. But for 2012, my running goal is not just to run farther to traverse The Gambia, but also to make a difference in the lives of kids in West Africa. And you can help me help kids by running in Ottawa Race Weekend this year! There are countless worthy causes out there that need our support. We can run to find a cure for cancer, arthritis, diabetes, heart disease or to raise awareness for mental illness; we can dedicate our run to provide access to clean water or food, to advance children’s or women’s rights, to save the rhinos or the whales… Who wouldn’t want to make a contribution? But our financial and time resources are limited and as much as we’d like to save the world, we have to choose where we want to invest our time and money. So why would I use my spare time over the course of the next seven months to organize a fundraising campaign and to train to run across an African country during my vacation? Running for a cause requires a passion and I have a passion for Africa. Not only do I love the amazing and versatile landscapes, the vibrant cities, the exotic animal sightings, and the gorgeous sunsets, but more than anything, I love the diverse, vivacious and strong people of Africa. And the people who always make the biggest impression on me are the kids: from the boy, wise beyond his twelve years, who I met in Zimbabwe; to the little girl in Lesotho who played soccer with me; to the young South African who loved sharing stories with me in Afrikaans and wasn’t the least bit bothered that I only understood a fraction of them. Some of these kids need our help. In the Gambia, malaria alone killed 1000 children before their fifth birthday. Compare that to Eastern Ontario, which has a similar population size, where the reported annual child mortality figure from any and all causes is 16. 68% of all people living with HIV/AIDS live in sub-Saharan Africa. Yet, this region only represents 12% of the global population. The region also accounted for 70% of all new infections in 2010. These statistics show that too many children in The Gambia die unnecessarily of preventable diseases. We can help keep kids alive by teaching them to teach others how to prevent getting infected by or spreading those diseases. In a recent report on HIV/AIDS, the United Nations suggest that behaviour change among young people has reduced the new infections rate. And the programs funded through Love4Gambia do exactly that through community based, participatory learning approaches, effective in changing social gender norms, which can reduce the incidence of HIV/AIDS. 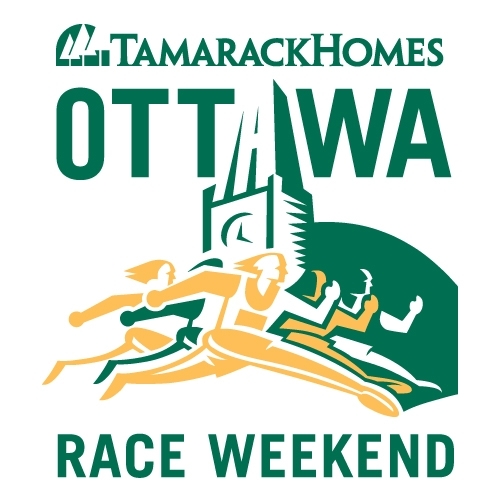 If your new year`s resolution includes getting fit, losing a few pounds or running more and helping others, then why not join us for the Tamarack Homes Ottawa Race Weekend to run for Team Love4Gambia! Each runner who raises $100 or more will be part of the team and will receive a special Team Love4Gambia race shirt, a 10% discount on all regular priced items at Bushtukah, as well as a chance to win prizes. To learn more about Team Love4Gambia, please contact Andrea at andrea.moritz@rogers.com. You can make a difference in the lives of kids in the Gambia and we’d love to have you aboard! Good luck with your new year’s resolutions and all the best for a happy, healthy and productive 2012! This entry was posted in New Year's Resolution and tagged Charity, Charity Team, Fundraising, Goal-setting, HIV/AIDS, Malaria, Ottawa Race Weekend. Bookmark the permalink.